What Will You Do If They Come For You? With the recent news of the government first forbidding the reading of the letter issued by Archbishop Timothy Broglio (who oversees the Catholic chaplains) condemning the HHS decision, and then after a protest, censoring the letter that was read, we must ask… how can anyone pretend that the Obama administration is not a menace to the rights and liberties of all Americans? First we have the imposing of a directive which demands that religious institutions either comply with providing coverage for contraception, sterilization and abortifacients or shut down. Now the government is beginning to stifle the freedom to oppose such directives. Now I recognize that not all Americans share the views of this blog or of the Catholic Church that this blog seeks to reflect. However, even those who do not share these views need to consider something. If the Obama administration succeeds in their tactics, then there is nothing to prevent them from using these tactics against any other body who displeases them. Moreover, if the administration is removed from power and if these tactics are left in place, then whoever succeeds the Obama administration will also have these tools to stifle dissent. Regardless of one's views of politics or morality, the Obama administration is taking a path which all people of good will must oppose. Otherwise the American concept of freedom ends in failure and we become yet another nation with an authoritarian regime. We're in a nasty battle for the freedom to do as we ought to do, with the propagandists for the government seeking to mislead people into thinking we're mindless bigots. This is the time for all people to do what they can depending on their talents. We're now in a battle over the souls in our nation. Pope Benedict XVI has been seeking to return the SSPX to full communion with the Church. The problem is not with the Pope or the Bishops. It falls squarely on the SSPX. The key problem in our discussions with Rome was really the Magisterium, the teaching of the Church. Because they say, "we are the pope, we are the Holy See" – and we say, yes. And so they say, "we have the supreme power," and we say, yes. They say, "we are the last instance in teaching and we are necessary" – Rome is necessary for us to have the Faith, and we say, yes. And then they say, "then, obey." And we say, no. He goes on in a self-serving way making personal attacks and assuming as proven what needs to be proven true, but we have a real problem here. That the Pope is the last authority (no appeal beyond) and necessary. …They STILL refuse to obey. If they accept the above points, they cannot claim that Rome is "Modernist." 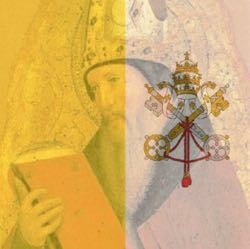 If Rome is "modernist" then quite frankly Christ failed His promise to be with the Church always and the problem is not over the teaching of ecumenism, but the claim that Christ is God. If Christ failed to protect His Church then He either lacked power to protect it or lied… either would make the Catholic claim about God false. It takes a special kind of blindness to take that attitude. Indeed, Christ had something to say about this kind of attitude. "If he refuses to listen to them, tell the church. If he refuses to listen even to the church, then treat him as you would a Gentile or a tax collector." "Whoever listens to you listens to me. Whoever rejects you rejects me. And whoever rejects me rejects the one who sent me." The SSPX certainly needs our prayers, but they cannot in any way be considered faithful if they share Fellay's attitude.